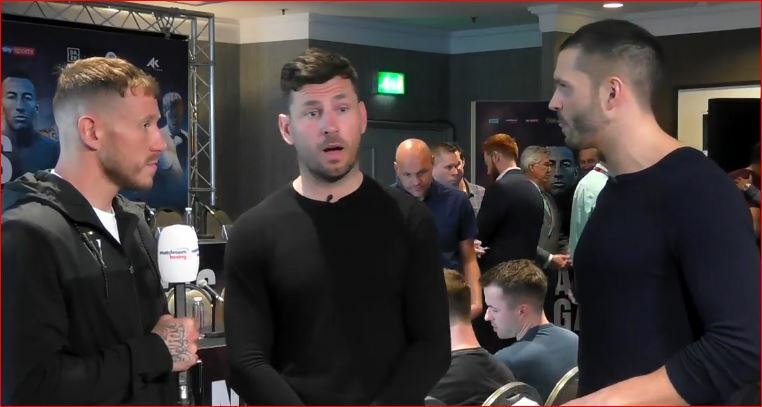 Former middleweight world champion Darren Barker is back in the sport of boxing, this time in a media capacity as part of a new role for Eddie Hearn’s Matchroom Boxing. The popular Londoner will be working as part of Matchroom’s pre-fight build up content online on their own channels and as part of the new DAZN deal in the US for the promoter’s international content. Barker won the world title against Australian Daniel Geale in a blood and guts war for the IBF title in Atlantic City back in 2013. This only two losses as a professional came against Felix Sturm and Sergio Martinez. Barker’s first assignment was earlier today for the Khan vs Vargas press conference in Birmingham.